SWIMMING POST! 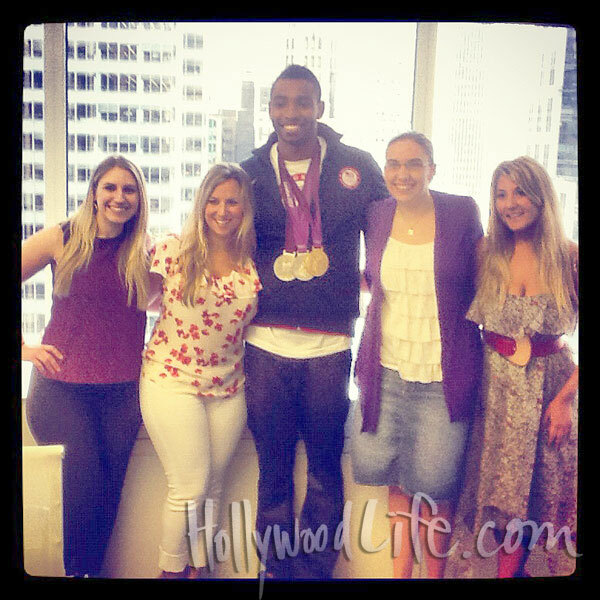 (Lochte, Clary, Jones, Neal) - Oh No They Didn't! And the Academy Award goes to...Ryan Lochte?! OK, the star Olympian has only just booked his first acting gig with a guest spot on TV's90210, but it sounds like he's got Hollywood on the brain. "That's awesome," fellow gold medalist swimmer Tyler Clary told me last night at the premiere of Hit & Run about Lochte's small screen debut. "But I'm not surprised at all. Ryan's that type of guy. He loves drama, he loves acting and he loves the whole theater and cinema scene." Clary admits he wouldn't balk if he got a similar offer. "It's not something that I've thought, 'I really want to do this,' but I don't think it would be something I would be challenged taking up doing," he said. "Don't get me wrong—I think it's very challenging, but I think I have it in me to do it." We do know Clary already has an in with the peeps making the sequel to Thor. "I was deejaying at China White [in London] and I was getting ready to go on and the club director tapped me on my shoulder and said, 'Tyler, I want you to meet someone,'" said Clary, who goes by the name DJ Copacetic when he's spinning music. "And this guy was like, 'I'm Zach Levi. I'm on Chuck and I'm here filming the sequel to Thor,'" he continued. "He goes, 'I heard you were deejaying and I wanted to come meet you.' That blew my way." 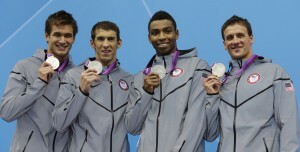 At the 2008 Olympics in Beijing, China, Cullen Jones burst on to the international scene with his stellar performance in the 4×100 relay with teammates Michael Phelps, Jason Lezak, and Garrett Weber-Gale. The men’s swimming team would make Americans proud as they clinched the gold for their country in the world record time of 3:08.24, and a conversation was instantly started about who the sole Black man was on the historic team. However, Jones’ profile would be taken to an entirely different level as the 2012 London Olympics came in to view. Now the previously unknown Jones could be seen as a key part of the Who’s Who of the U.S. Olympic team, and after returning Stateside this week with one gold in the 4x100m medley relay, one silver in the 4x100m relay, and one silver in the individual 50m freestyle, it is easy to see why he is considered to be one of the premier swimmers in the world. On Tuesday, NewsOne Senior Editor Abena Agyeman-Fisher sat down with Jones to discuss his favorite moments of the London games, why it is important to inspire other Black youth to swim, and whether the public will have the benefit of catching a glimpse of him in Rio in 2016. NewsOne: Congratulations on your wins! How did your experience in London differ from Beijing? 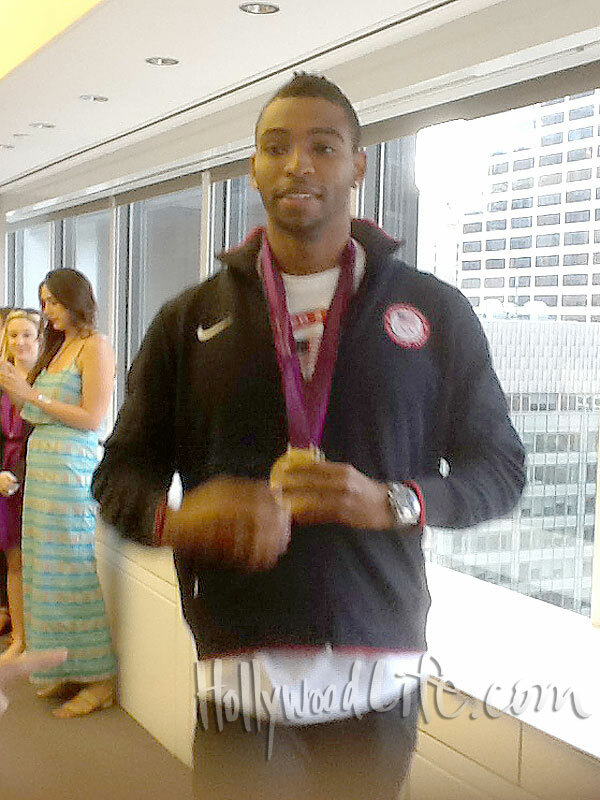 Cullen Jones: I think the biggest thing for me was that swimming an individual event was huge. I really wanted to do that in 2008, but I just missed it. I got two third-place finishes. So I had to be on the relay, but I wasn’t able to swim the 100m free or the 50m free. So, going into the London Games and going in as first seed for the U.S.. in the 50m freestyle was huge. Coming out and getting a silver medal isn’t that bad. NewsOne: So being able to compete in your own event made a big difference? CJ: You know, being in as an individual swimmer, it has more weight, because I feel like the team really relies on you to do well in your event. That’s really what I felt like I was lacking in 2008 — almost feeling like I wasn’t part of the team. I just felt like I was just the relay swimmer. But I learned very quickly that when I went on the team, that being a part of the Olympic team means being part of the Olympic team. 2012, doing the same thing, but having that ability to be able to swim individually was amazing. 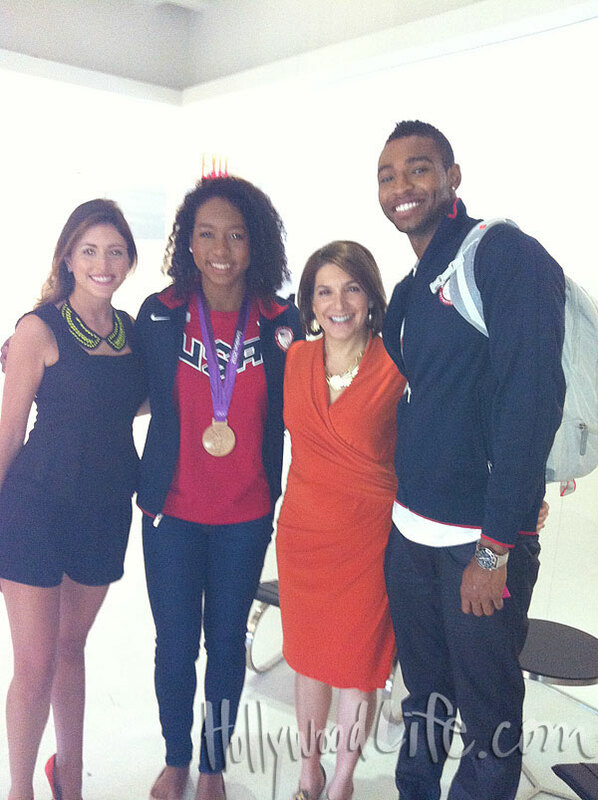 NewsOne: How did you physically prepare for the Olympics? CJ: When I’m training, it’s a full work week. I know a lot of people say they do a 30-40 hour work week. I’m doing 26 hours, but this is not sitting behind a desk; this is strenuous work. And a lot of people are shocked by that. NewsOne: How do you prepare for the Olympics? The Olympics are a big commitment. What was your life like the last 4 years? CJ: We [swimmers] have have a meet every year with world championships. So, for me, I was focusing every year. I had about two years where it was pitiful. There were big pitfalls. I didn’t swim as well as I wanted to. Last year I didn’t swim as well as I wanted to. I didn’t even make finals, or semifinals in the 50m freestyle — this is the event I just got second in. It hasn’t always been roses. I’ve had pitfalls, and telling myself I have to focus. I have to be better. This past year my focus has been the best not only in the pool racing, but training. Overall my coach came up to me and said, “Your focus this year has been better than ever. 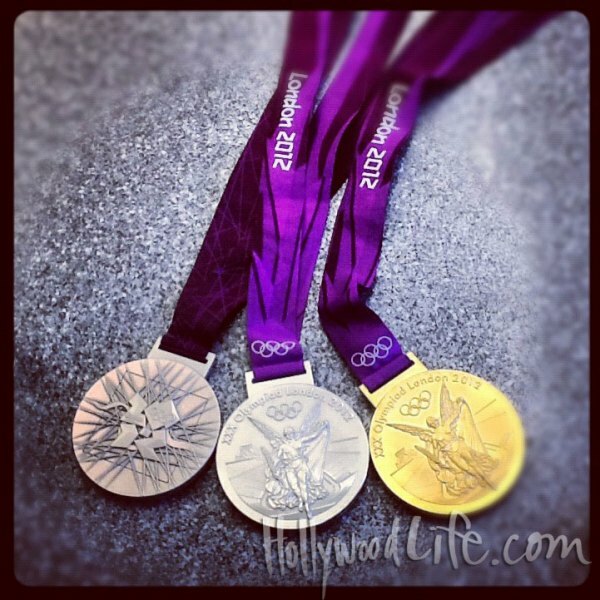 And this is why you’ve been so successful.” Three out of the four events, three, I came home with medals. And so that’s pretty cool. NewsOne: In an earlier interview, you said that you have the body of a basketball player. Your dad also played basketball. What would you say to other young youth — young black males in particular — who are looking for something to do with their lives? What has swimming done for your life? And what would you say to other Black children who don’t really know much about swimming? CJ: When someone posed me this question, they said, “What do you want kids, especially kids of color, to think when they see you?” What I want them to say in their minds is, “I can do that,” because it [swimming] is something different, you know? I know that we as a people usually think of basketball, track, football. But there are other things that we’re good at. And we just have to be the trailblazer that does it. NewsOne: As the “Make a Splash” Foundation’s spokesman, you focus on encouraging children, particularly minority children, to learn how to swim. 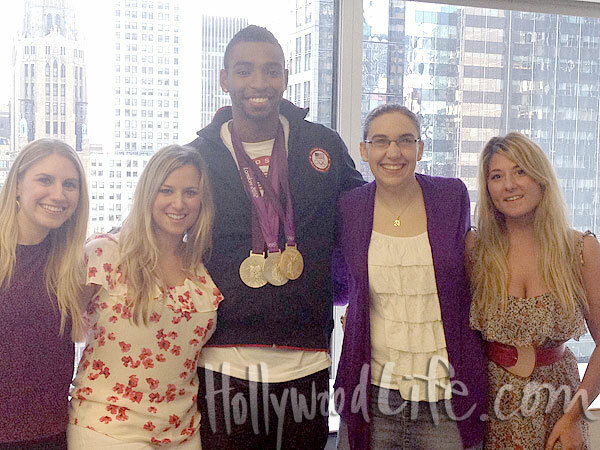 Now that the Olympics is over, will you continue your work with them and what inspires you to do that type of work? CJ: Absolutely. For as long as they’ll [USA Swimming] have me. With all the drowning rates that we’re still fighting, and with ‘Make A Splash’ doing so well, and with my continued success hopefully, we can see more and more kids turning to the pool. Even if they don’t try to fill my shoes or try to reach after the Olympic gold medal, learning how to swim is important. In 2008, when the USA Swimming Foundation approached me with this initiative, because I almost drowned at age 5 myself, they were like, “Wow, you would be a perfect fit to talk to kids.” I said I would love to do it. People ask what I think my legacy is and I want to give back to the sport that’s given me so much. I grew up in the inner city, and like any other kid, you know, you aspire to be the best. I was able to do that with swimming. I was able to make a life for myself with swimming. I had dinner with Ice-T and Coco last night. Who can say that?! So it’s one of those things where, I’m so blessed and I would love to pull my hand back and pull someone else along the path. It’s narrow; it’s not easy. There’s a lot of pitfalls, and there are a lot of things that you have to watch out for. If you can come out on the other side, it’s a great sport. And if anything, you’ll learn. I’ve learned so much from swimming. NewsOne: What’s your favorite memory of London — non-swimming and- swimming-related? CJ: Swimming-wise, it was definitely the 50 freestyle…but then it wasn’t [the best memory]. NewsOne: You were so close to getting the gold! CJ: I thought I had it, but really, I don’t care what place I was in. I know I gave it everything. And that was one of those things where, at the time, I didn’t feel it [the happiness of winning], but when I walked away, I’m like, Man, I did everything. I did everything I could, and it’s not gold, but maybe I need to be hungry for the next one. Maybe that’s the reason why. I’m a religious person, so I was like, God Why? I’ve been dreaming about this gold medal! But where a door closes, a window opens. So, you know, I take it for what it is and I move forward and say that, you know, Rio sounds good to me. Another cool moment was that the NBA guys came on the day that I was swimming to watch me in the 50m freestyle. They all came and they watched, and everyone was saying how excited they were when I hit the wall. Man, I didn’t even get to see them — that was the one day they came! NewsOne: They came to see you. How awesome is that? CJ: It’s not bad, but I would’ve liked to see them. NewsOne: What’s your favorite non-swimming memory? CJ: I was really upset that I got sick right after my races. That Sunday, I had tickets to watch the 100-meter [for Usain Bolt] and I was so sick. I had a 102 degree fever. I watched it on television and watched Usain Bolt win. But at the award ceremony I got to sit there in the venue and watch them give him the medal. It was unreal. NewsOne: Are you going to continue competing? Are we going to have the pleasure to see you in Rio? CJ: I’m definitely thinking about it. I know this is a point in my life where I need to make that decision pretty soon. Coming up in the next, like month or two. It’s a big commitment. But we have meets every year, so I get to kind of focus in on something and always have a goal in mind to come and keep myself on track for Rio. I definitely wanna go as an athlete though. I had 4 events. I had the two-relays, 100 freestyle and the 50 freestyle. I would love to do that again going into the Rio Games. But improve on it. The ideal is to do exactly what I did: go in to the 50m and 100m and win more golds. See you in Rio, Cullen! Missy Franklin's on Leno tonite too. I've been missing Olympics posts so much and I'm gonna be sad when they stop moving around the media circuit, but it's a lot of fun to see these people out and about. Well, most of them. :) Mods... I resubmitted this b/c I screwed up the HTML earlier. Thanks so much for putting all of that together. you're welcome! it's okay i enjoy doing it! lol this was my procrastination for studying.